Dr. Lei Xie is currently a Professor in the Audio, Speech & Language Processing Group (ASLP), Shaanxi Provincial Key Laboratory of Speech & Image Information Processing, School of Computer Science, Northwestern Polytechnical Univeristy. Dr. Xie obtained his Ph.D. degree in Computer Science from Northwestern Polytechnical University, China in 2004. From 2001 to 2002, he has worked with Professor Hichem Sahli at the Department of Electronics and Informatics, Vrije Universiteit Brussel (VUB), Brussels, Belgium as a Visiting Scientist. From 2004 to 2006, he has worked with Professor Zhi-Qiang Liu as a Postdoctoral Researcher in the Center for Media Technology (RCMT), School of Creative Media, City University of Hong Kong, Hong Kong SAR. From 2006 to 2007, Dr. Xie has worked with Professor Helen Meng as a Postdoctoral Fellow and a Project Lead in the Human-Computer Communications Laboratory (HCCL), Department of Systems Engineering & Engineering Management, The Chinese University of Hong Kong, Hong Kong SAR. He was also a visiting professor in the University of East Anglia (UEA), United Kingdom in 2011. Dr. Xie's general research interests include audio, speech and language processing, multimedia information processing, human-computer interaction and machine learning. Current research topics include robust speech recognition, speech synthesis, speaker recognition, spoken term detection and low-resource speech processing. He has published over 140 papers in refereed journals and major conferences, including IEEE Transactions on Multimedia, IEEE/ACM Transactions on Audio, Speech and Language Processing, Pattern Recognition, ICASSP, Interspeech, ACL and ACMMM. 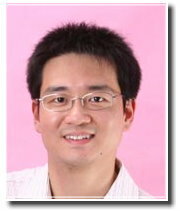 Dr Xie has served as program/organizing chairs and program committee members of various international conferences. He served as the Publication Chair of Interspeech2014, Program Chair of ISCSLP2016, NCMMSC2011 and ICOT2014. He served as an associate editor of IEEE/ACM Transactions on Audio, Speech and Language Processing. Dr. Xie is the principal investigator (PI) of many research projects, funded by National Natural Science Foundation of China (NSFC), Ministry of Education, and Research Grant Council (RCG) of Hong Kong SAR. He is a Senior Member of IEEE, a member of ISCA, a member of ACM, a member of APSIPA, a member of SIG-CSLP and a senior member of China Computer Federation (CCF). He is a Board-of-Governor of the Chinese Information Processing Society of China (CIPSC), the vice director of speech information processing technical committee of CIPSC, a board member of the APSIPA Speech, Language and Audio (SLA) technical committee, a board member of the multimedia technical committee of CCF, a board member of the multimedia technical committee of China Society of Image and Graphics (CSIG). a standing committee member of NCMMSC. He serves as the workgroup chair of the ISCA special interest group of Chinese spoken language processing (SIG-CSLP). He has enrolled in the Program for New Century Excellent Talents in University in 2008, supported by the Ministry of Education (MOE) of China. Dr. Xie works closely with industrial collaborators, including Baidu, Sogou, Microsoft, Huawei, Xiaomi, Alibaba, Tencent, Samsung, JD.com, Mobvoi and Unisound. Yougen Yuan, Lei Xie, Zhong-Hua Fu, Qi Cong, "Sound image externalization for headphone based real-time 3D audio", Frontiers of Computer Science, June 2017, Volume 11, Issue 3, pp 419-428. Haoran Liang, Mingli Song, Lei Xie and Ronghua Liang, "Personalized 3-D Facial Expression Synthesis based on Landmark Constraint", APSIPA Annual Summit and Conference (APSIPA ASC 2013), Kaohsiung, Taiwan, Oct. 29 - Nov. 1, 2013. Ling Tang, Zhong-Hua Fu and Lei Xie, "Numerical Calculation of the Head-Related Transfer Functions with Chinese Dummy Head", APSIPA Annual Summit and Conference (APSIPA ASC 2013), Kaohsiung, Taiwan, Oct. 29 - Nov. 1, 2013. Lei Xie, Zhigang Deng and Stephen Cox, "Multimodal joint information processing in human machine interaction: recent advances", Multimedia Tools and Applications, Guest Editorial, Springer, November, 2013. Lei Xie, Naicai Sun and Bo Fan, "A Statistical Parametric Approach to Video-Realistic Text-driven Talking Avatar", Multimedia Tools and Applications, Springer, August 2013. Yali Zhao, Zhong-Hua Fu, Lei Xie, Jian Zhang, Yanning Zhang, "Dual-microphone based binary mask estimation for robust speaker verification", International Conference on Audio, Language and Image Processing (ICALIP), Shanghai, China, July 16 -18, 2012. Dan Li, Zhong-Hua Fu and Lei Xie, "Comprehensive Comparison of the Least Mean Square Algorithm and the Fast Deconvolution Algorithm for Crosstalk Cancellation", International Conference on Audio, Language and Image Processing (ICALIP), Shanghai, China, July 16 -18, 2012. Lei Xie, Yulian Yang, Zhi-Qiang Liu, Wei Feng and Zihan Liu, "Integrating Acoustic and Lexical Features In Topic Segmentation of Chinese Broadcast News Using Maximum Entropy Approach," International Conference on Audio, Language and Image Processing (ICALIP), Shanghai, China, 23-25 November 2010. Zihan Liu, Lei Xie and Lilei Zheng, "Laplacian Eigenmaps for Automatic News Story Segmentation", International Conference on Audio, Language and Image Processing (ICALIP), Shanghai, China, 23-25 November 2010. Xiaohai Tian, Zhonghua Fu and Lei Xie, "An Experimental Comparison on KEMAR and BHead210 Dummy Heads for HRTF-based Virtual Auditory on Chinese Subjects," The Third IET International Conference on Wireless, Mobile & Multimedia Networks (ICWMMN2010), 26 - 29, September 2010, Beijing, China. Yaodong Ni, Lei Xie, and Zhi-Qiang Liu, " Minimizing the Expected Complete Influence Time of a Social Network," Information Sciences, 180(13): 2514-2527, 2010. Wei Feng, Lei Xie and Zhi-Qiang Liu, "Multicue Graph Mincut for Image Segmentation", Ninth Asian Conference on Computer Vision (ACCV2009), LNCS 5995, pp. 707-717, Springer, 2010. Jin Zhang, Lei Xie, Wei Feng and Yanning Zhang, "A Subword Normalized Cut Approach to Automatic Story Segmentation of Chinese Broadcast News", Asia Information Retrieval Symposium (AIRS2009), LNCS 5839, Springer, pp136-148, 2009. Wei Feng, Lei Xie, Jia Zeng and Zhi-Qiang Liu, "Audio-Visual Human Recognition Using Semi-Supervised Spectral Learning and Hidden Markov Models," Journal of Visual languages and Computing , invited paper, 20(3):188-195, 2009. Jia Zeng, Wei Feng, Lei Xie and Zhi-Qiang Liu, "Cascade Markov random fields for stroke extraction of Chinese characters," Information Sciences, 180(2):301-311, 2009. Zhonghua Fu, Jhing-Fa Wang and Lei Xie, "Noise Robust Features for Speech/Music Discrimination in Real-time Telecommunication", IEEE International Conference on Multimedia and Expo (ICME 2009), pp 574-577, New York, USA. Lei Xie, "Discovering salient prosodic cues and their interactions for automatic story segmentation in Mandarin broadcast news", ACM/Springer Multimedia Systems Journal, 14(4):237-253, 2008. Jia Zeng, Lei Xie and Zhi-Qiang Liu, "Type-2 Fuzzy Gaussian Mixture Models" Pattern Recognition, 41, 2008, pp 3636-3643. Lei Xie and Yulian Yang, "Subword Lexical Chaining for Automatic Story Segmentation in Chinese Broadcast News", Pacific-Rim Conference on Multimedia (PCM2008), LNCS 5353, Springer, pp248-258, 2008. Lei Xie, Jia Zeng and Wei Feng, "Multi-Scale TextTiling for Automatic Story Segmentation in Chinese Broadcast News", Asia Information Retrieval Symposium (AIRS2008), LNCS 4993, Harbin, China, pp345-355, Springer, 2008. Lei Xie, "Dynamic Bayesian Network Inversion for Robust Speech Recognition", IEICE Transactions on Information and Systems, 2007, Vol. E90-D, No. 7, pp 156-159. Lei Xie, Chuan Liu and Helen Meng, "Combined Use of Speaker- and Tone-Normalized Pitch Reset with Pause Duration for Automatic Story Segmentation in Mandarin Broadcast News", Human Language Technology Conference /North American chapter of the Association for Computational Linguistics Annual Meeting (HLT-NAACL), pp193-196, Rochester, NY, USA, April, 2007. Chuan Liu, Lei Xie, Helen Meng, "Classification of Music and Speech in Mandarin News Broadcasts", 9th National Conference on Man-Machine Speech Communication (NCMMSC), Huangshan, Anhui, China, 2007. Lei Xie, and Zhi-Qiang Liu, "An Articulatory Approach to Video-Realistic Mouth Animation", IEEE International Conference on Acoustics, Speech and Signal Processing (ICASSP), vol. I, pp593-596, Toulouse, France, 2006. Lei Xie, Helen Meng and Zhi-Qiang Liu, "A Cantonese Speech-Driven Talking Face using Translingual Audio-to-Visual Conversion", International Symposium on Chinese Spoken Language Processing (ISCSLP2006), LNAI 4274, Singapore, pp627-639, Springer, Dec, 2006. Lei Xie and Zhi-Qiang Liu, "Multi-Stream Articulator Model with Adaptive Reliability Measure for Audio Visual Speech Recognition", Advances in Machine Learning and Cybernetics, LNAI 3930, Springer, pp99-114, April, 2006. Lei Xie, and Zhi-Qiang Liu, "Speech Animation Using Coupled Hidden Markov Models", International Conference on Pattern Recognition (ICPR), vol. I, pp1128-1131, Hong Kong, 2006. Lei Xie, and Zhi-Qiang Liu, "Lip Assistant: Visualize Speech for Hearing Impaired People in Multimedia Services" , International Conference on System, Man and Cybernetics (ICSMC) , pp4331-4336, Taipei, Taiwan, 2006. WARNING: This page contains links to pdf files whose contents may be covered by copyright. You may browse them at your convenience in the same spirit as you may read a journal or a conference proceedings article in a public library. Retrieving, copying, or distributing these files, however, may violate international copyright protection law.